Daniel C. Cramer, 87, of Deerfield Beach, Florida, formerly of Richwood, passed away on Saturday, September 8, 2018 at Boca Raton Regional Hospital surrounded by his family. He was a veteran of the U.S. Navy, a member of the American Legion Post #162, Mt. Carmel #303 F&AM Richwood, Valley of Columbus A.A.S.R., Aladdin Shriners, and the former Richwood Lions Club. He was a member of the First United Methodist Church in Richwood where he served as the Sunday School Superintendent in the late 60s. He held several different offices and was very active in the Building Committee for the addition to the church. Dan founded several successful businesses over the years: Richwood Auto Alignment, Cramer’s Concrete Floors, Inc. and C & H Concrete Construction, Inc. He was an avid fan of the OSU Buckeyes. Dan loved to watch baseball and grew up a Cincinnati Reds fan, but since moving to Florida was a true Miami Marlins fan. His greatest enjoyment was his family; he loved going to watch his grandson and great-grandson play baseball. He enjoyed traveling back to Ohio to visit family and attending the Richwood Fair. Dan was a true “people person” and loved visiting and reminiscing with friends and family. 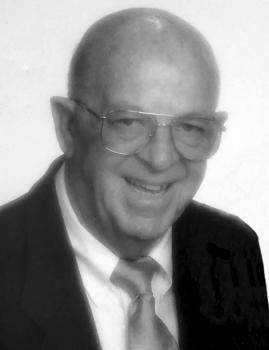 He is survived by his wife, Phyllis Miller Cramer, whom he married on October 6, 1951 in Magnetic Springs; their children, Kathy (Brad) Wilson, Pompano Beach, FL; Keith (Lisa) Cramer, Pompano Beach, FL; five grandchildren, Joe Davis (Michelle), St. Petersburg, FL; Abby Davis (Gary) Beaulieu, Boca Raton, FL; Kylie, Kolton and Kenton Cramer, Pompano Beach, FL; great-grandson Sean Beaulieu, Boca Raton, FL; a sister, Patricia (Max) Robinson, Marysville; a brother, Bob (Irena) Cramer, Kansas City, MO; and several nieces and nephews. Funeral services will be held at 11:00 AM Saturday, September 15, 2018 at the First United Methodist Church in Richwood with Pastor Joe Rhea officiating. Military honors will be conducted by the Richwood Area Veterans and burial will follow in the Claibourne Cemetery. Friends may call from 5 to 7 PM on Friday at Stofcheck-Ballinger Funeral Home in Richwood where a Masonic Service will be held at 7:00 PM. Memorial contributions may be made to the First United Methodist Church, 18 S. Fulton Street, Richwood, OH 43344 and the Richwood Public Library, 4 E. Ottawa Street, Richwood, OH 43344. We are so sorry to hear of Dannies passing. We will be thinking of all of you. I remember Danny as a really nice guy who seemed to be a very happy soul. He was always smiling. His mother Effie was my grandma's good friend, and my dad played baseball with his brother Billy. I grew up knowing all of the Cramer family - all very good people. I know Phyllis and the rest of his family have many great memories to cherish until they are together again. My deepest sympathy to you all. Phylis and Family, So sorry to hear of Dan's passing. He is so well known in the Richwood community and I am sure in his Fla.community also. He will surely be missed and my prayers and thoughts are with you all. I'm so sorry for the loss of a very kind man. My prayers and thoughts are with your family. May he rest in peace. May God be with you all in the days ahead. So sorry to hear of Dan's passing. Your family has my sympathy. Fond memories of the Cramer Family ! Our hearts goes out for them now and to the following days. Prayers for healing for your family's loss. He always had that ornery smile. Phyllis and all your family, may you Memories give you comfort in the coming days. My heart is with you Phyllis and family. Dan was a figure I held in my mind as a friend, a mentor, a counselor, and he was like a parent to me as are you Phyllis. It is immeasurable what I owe that man. Decades ago he took a young hard-headed young man and gave him a Direction and a Purpose. I drove him crazy sometimes but he never gave up on me when others did. I will never forget a single moment I spent with him. Dear Phyllis and family, We are so very sorry for your loss and send prayers and our sympathy. I worked with you at Richwood Banking Co in the 60's. Watching you and Dan interact was so much fun. I have fond memories and respect for you both. May your memories comfort you. Kathy,our deepest sympathy to you and the family. May God comfort you during your time of sorrow. You are in our thoughts and prayers. We are deeply saddened to hear of your loss. We admired & loved Dan . God bless you all. May God grant you peace. Sending my heartfelt condolences and prayers to the Cramer family. Phyllis, Kathy, Keith, and families, we were so sad to hear of Danny's passing. We have such fond memories of you all dating back to our time on George St. It was an honor for me to have had both Kathy and Keith in class, AND I cannot forget the times that Kathy had to "help" me with my shopping. Our group camping trips on weekends are also great memories! Danny always had a smile and a prank to play and a story to tell. He was a good man who loved his family, his community, and Richwood and will be missed! Sending my condolences and prayers to the Cramer family. Thoughts and prayers are with your whole family. So sorry we couldn't make the calling hours. He was a wonderful caring man. Cherish the memories. So very sorry for your loss of Danny. He was a great guy who will be missed by many. Continued prayers for all. Keith, Kathy, and Phyllis, My condolences to you all and your families. Dan was such a great man, and I truly enjoyed hanging out with all of the Cramer family.